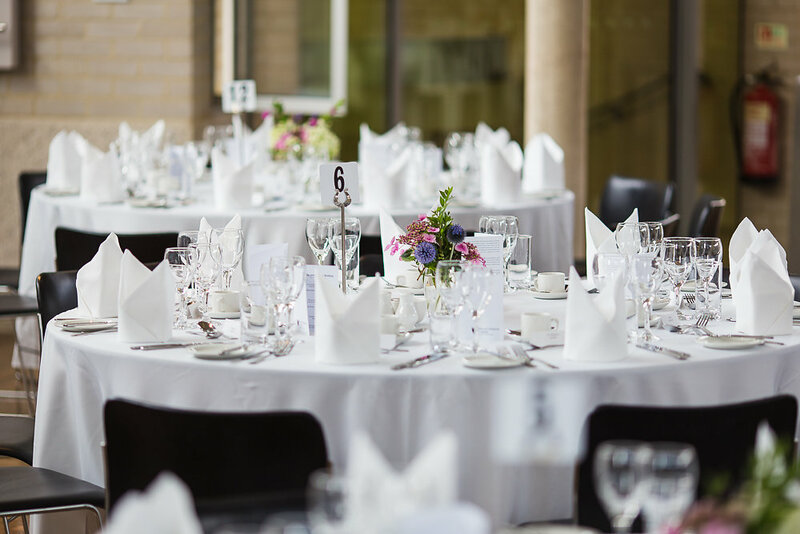 Plan an outstanding residential event in Cambridge. 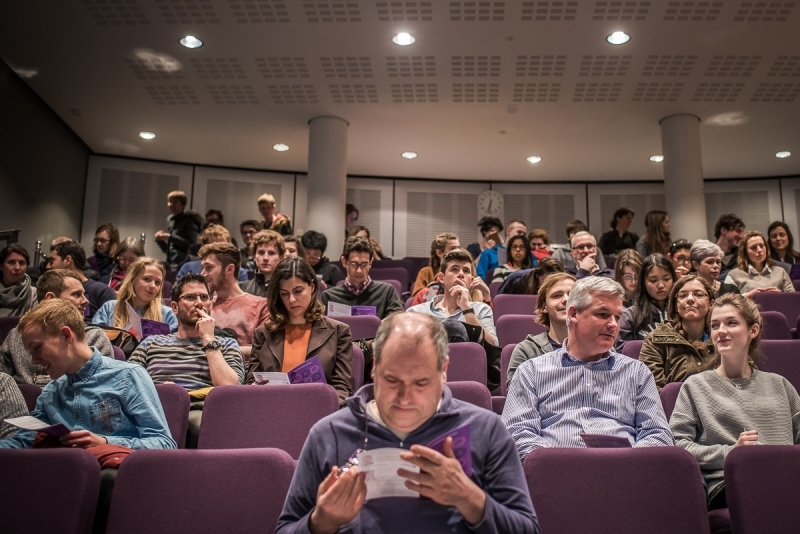 At Murray Edwards College we offer peace of mind. Your event will be facilitated by our team of experienced, expert event managers and delivered by professional, efficient and friendly staff. We are always prepared for changes and we react adeptly to accommodate them as smoothly as possible. 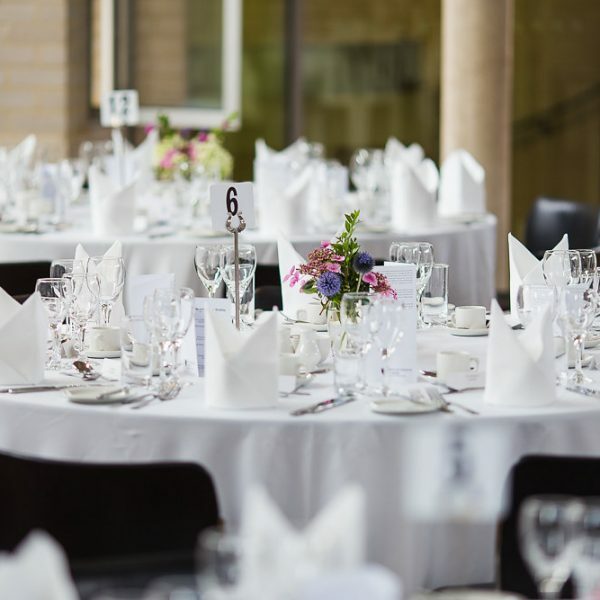 In addition to a fantastic location, excellent meeting facilities, comfortable meeting facilities and outstanding food, Murray Edwards College has even more on offer for delegates than just the standard conference venue in Cambridge has to offer. 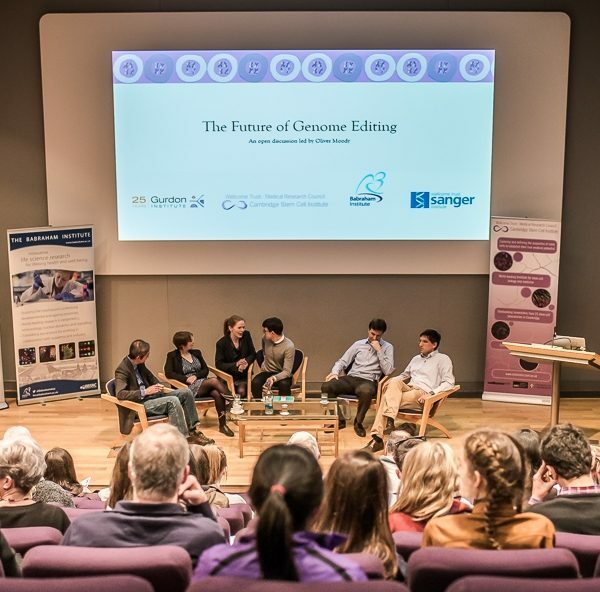 We appreciate that residential conferences can have a range of budgets. Please let us know your budget and we will try and accommodate you. 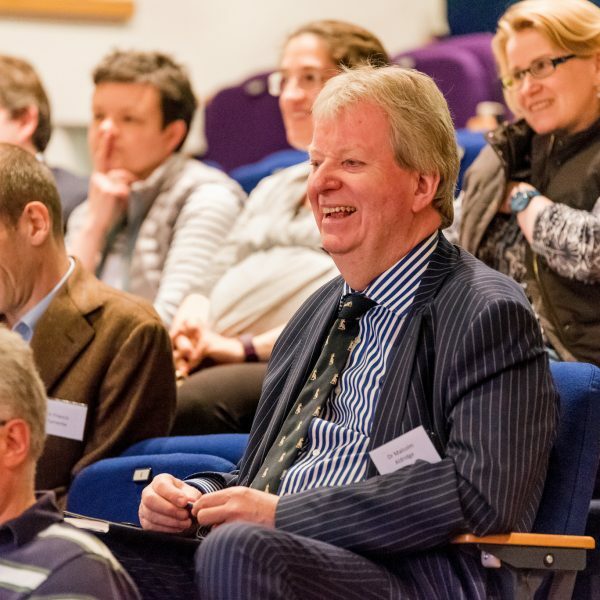 A residential conference is about more than just the bedrooms and meeting rooms. Delegates want great value out of the ticket, so choosing a venue with added value can be key to convincing delegates your event is the one to come to. 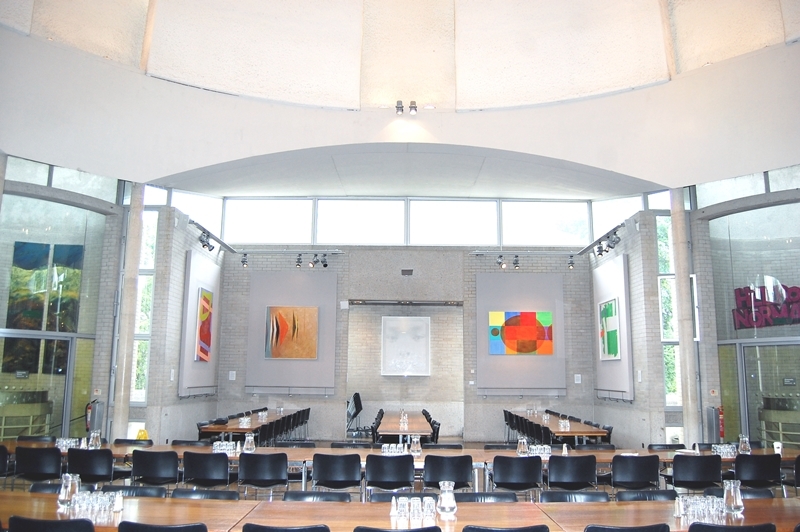 The extensive, world-renowned New Hall Art Collection, housed at Murray Edwards College, is the largest of it’s kind in Europe with works by Maggi Hambling, Tracey Emin, Barbara Hepworth and Dame Paula Rego. The collection is located throughout the light and airy College, contributing to a motivating and inspiring atmosphere. A self-guided art tour is available or we can arrange tours with our art curator for a small donation to the art collection. 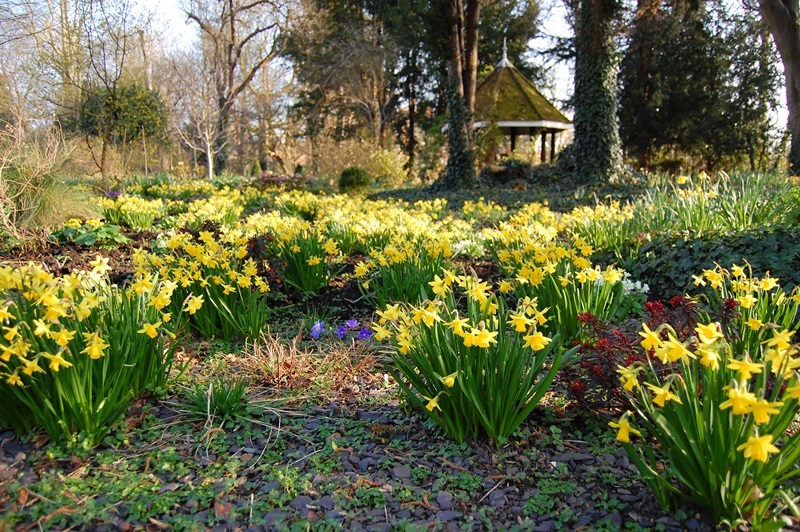 The gardens at Murray Edwards are beautiful yet informal and delegates are welcome to walk on the grass, picnic in the sunshine and generally enjoy the gardens. 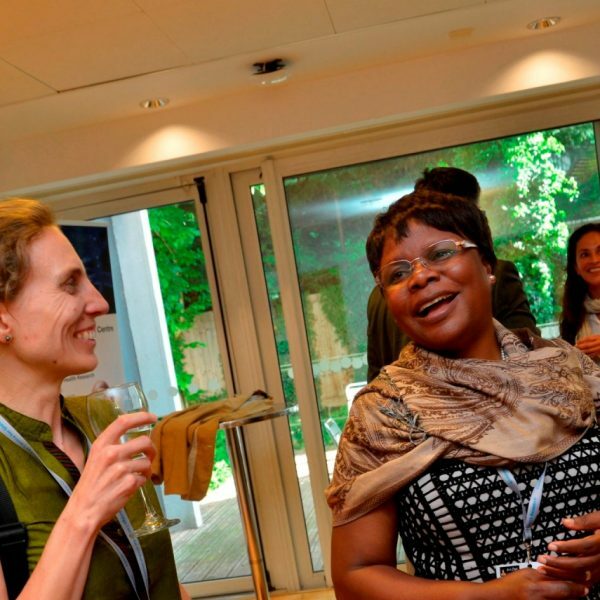 Organisers can plan team-building activities, drinks receptions and BBQs outside too. Our modern buildings were designed by Chamberlin, Powell and Bonn who also designed London’s Barbican and are light and airy. The site layout is simple and event rooms are easy to find. From the College, it is just a 5-10 minute walk to Quayside where there are boutique shops, restaurants, bars and the classic Cambridge activity…punting. A little further and delegates will reach the city centre with high street and designer shops, library, nightclubs and attractive green parks. 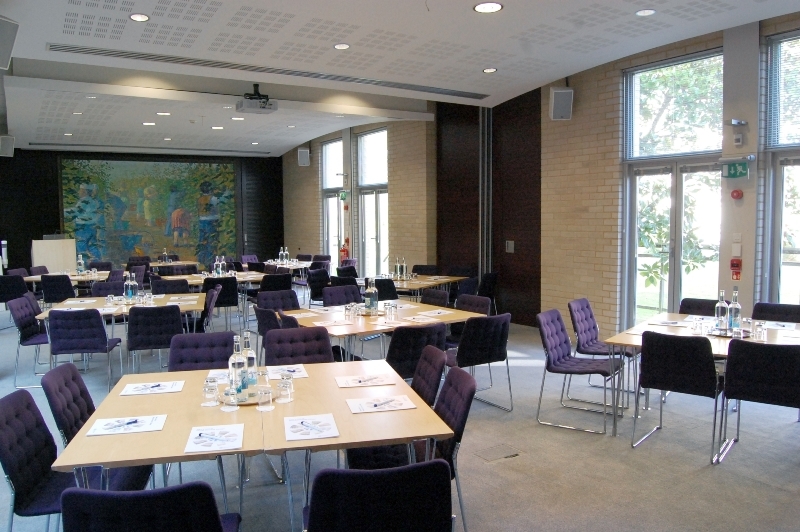 Murray Edwards College offers two professional conference centres to choose from for your residential conference in Cambridge; Buckingham House and the Kaetsu Centre. 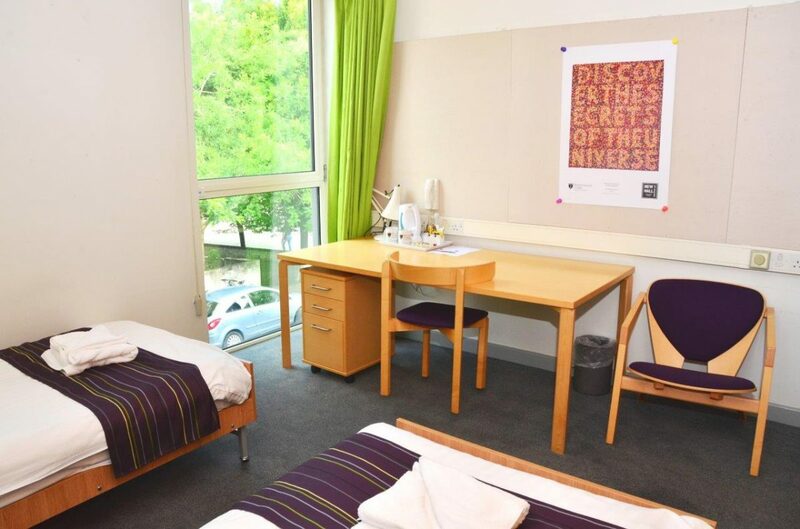 These are self-contained and include lecture theatres and flexible break out rooms with excellent A.V. 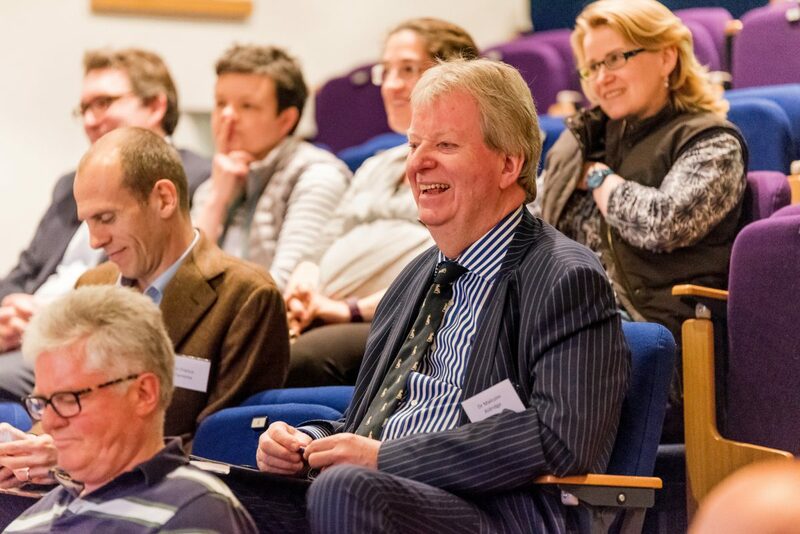 facilities and Foyers for networking, registration, refreshments and lunch. 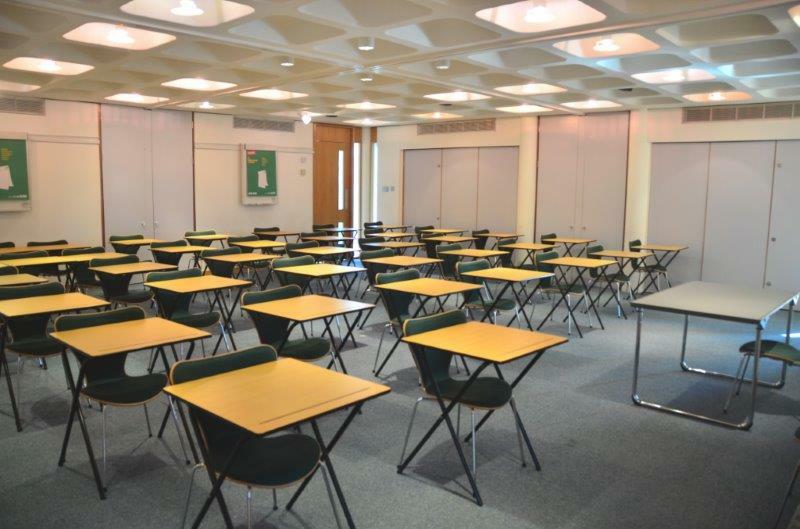 The College Meeting Rooms are in the heart of Murray Edwards, giving a real collegiate feel to your event but in professional standard meeting rooms with high quality A.V. and nearby areas for refreshments and lunch. 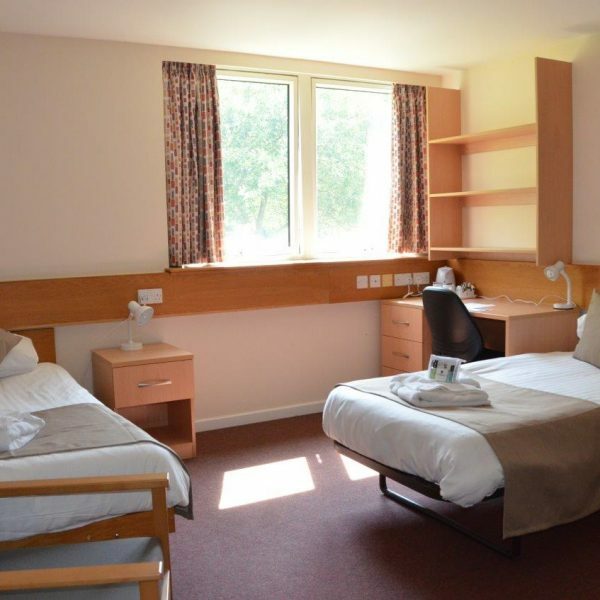 Our comfortable bedrooms are en suite or standard (shared bathroom facilities), twin or single occupancy. 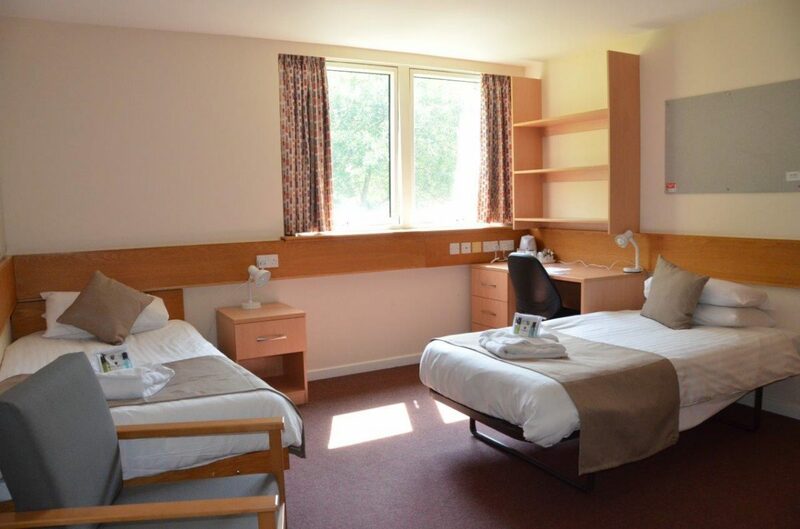 So whatever your budget for your residential conference, we have bedrooms that will suit. Many bedrooms overlook our pretty, informal gardens. 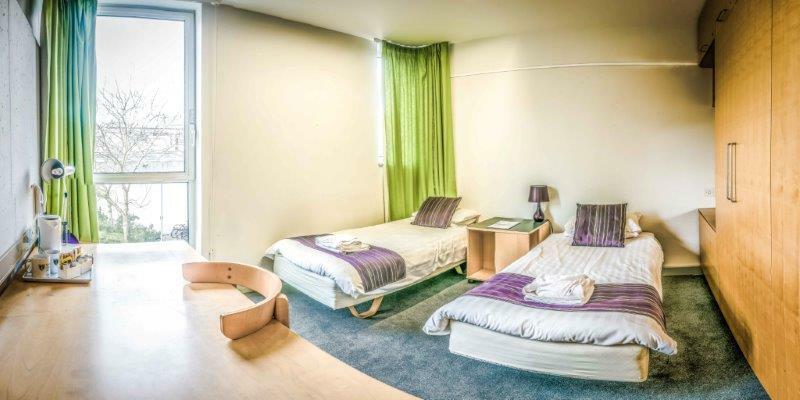 Each room has in-room refreshments and toiletries, bedding and towels and free Wi-Fi. All bedrooms are accessible by lift. 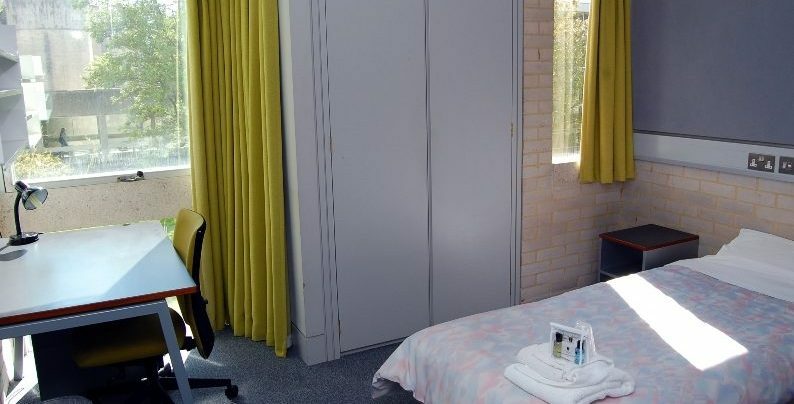 Disabled rooms are available on request. Our friendly, welcoming Porters have excellent local knowledge and would be pleased to help with any questions you may have. They also have a limited supply of hairdryers and alarm clocks available to borrow for a small deposit. 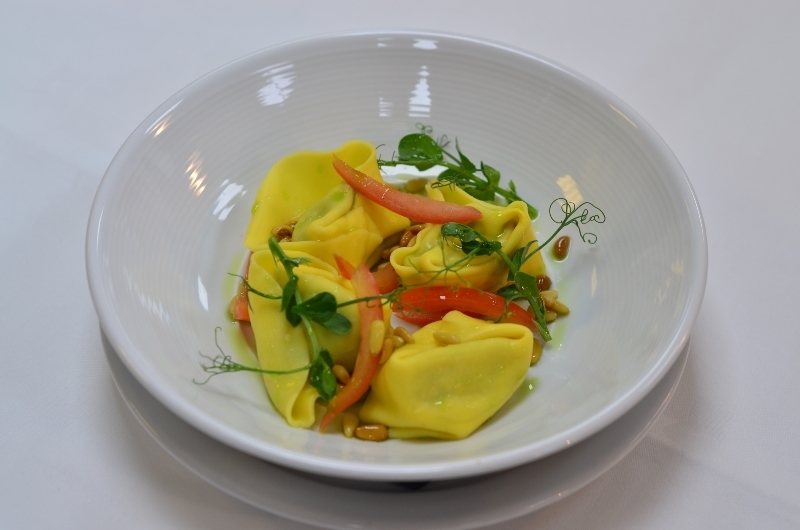 Murray Edwards College has an outstanding team of chefs who produce responsibly sourced, modern cuisine. 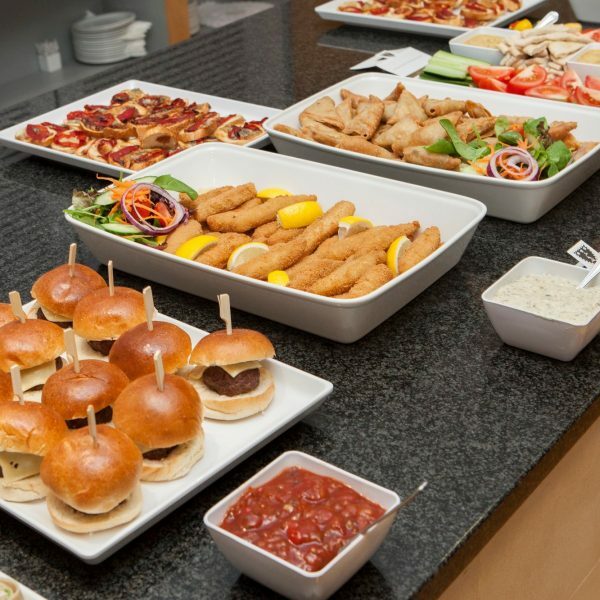 During your time here, you can choose from our menu selection of excellent buffet options, fine dining formal dinners and relaxed cafeteria meals. 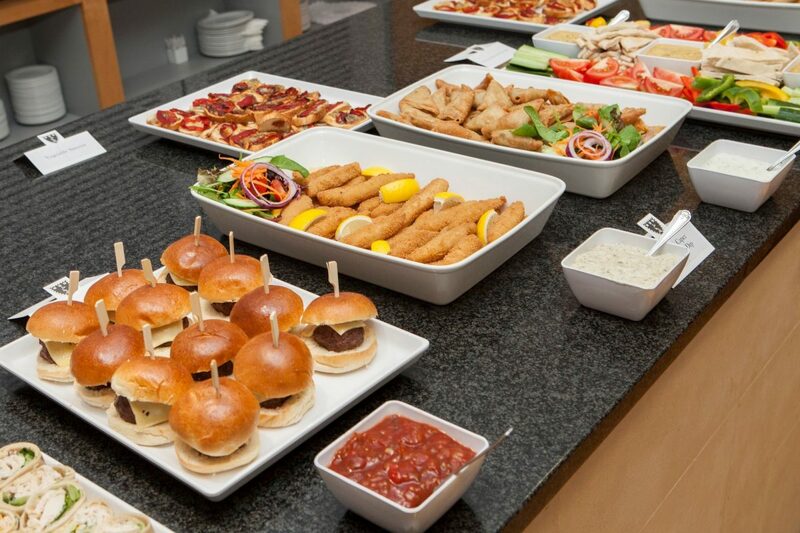 Delegates will not get bored with the food at this residential conference venue! Spring and summer bring further options for garden parties, BBQs and outdoor drink and canapé receptions. 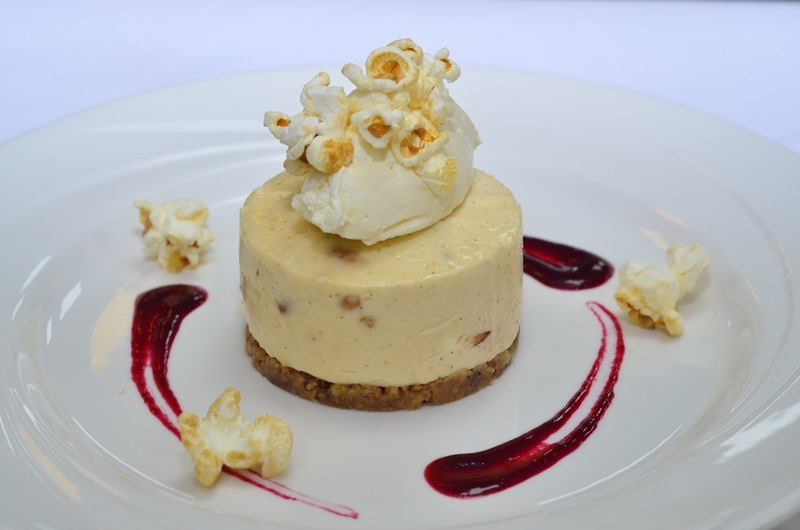 See our menus (if you want to feel hungry!). 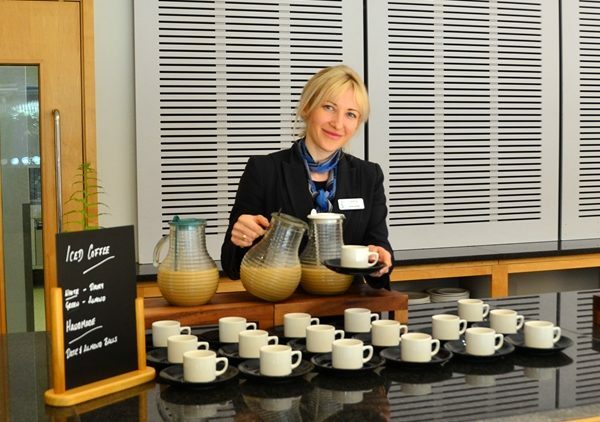 In the morning, delegates can meet in the Dome dining hall to enjoy our consistently high scoring breakfast, which includes full-English and continental options, including pastries, cereals and yogurts and enjoy a coffee from our bean-to-cup machine. 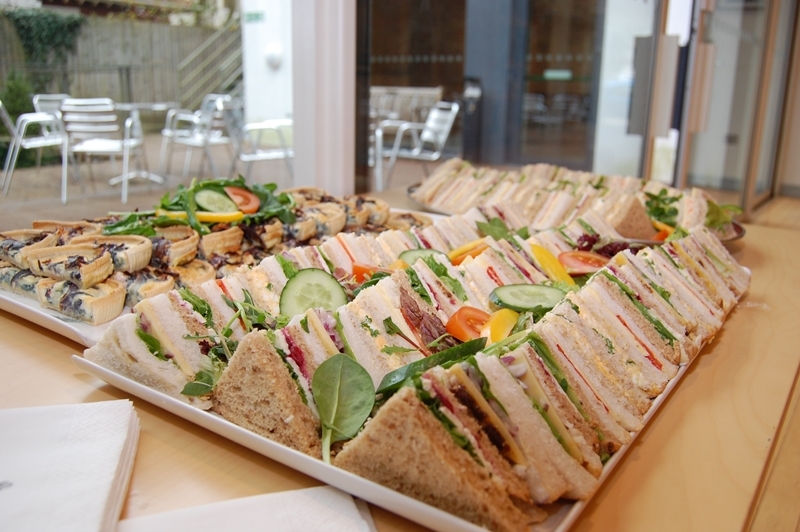 An enjoyable, social, nutritious breakfast is the perfect start to your residential conference. Although the bar does not serve drinks unless privately booked, however this lovely room overlooks Fountain Court and is perfect for delegates to meet, relax or do private work. The bar has comfortable sofas or tables with chairs, a flat screen TV, Wi-Fi and vending machines serving snacks and cold drinks (a coffee machine is located nearby). 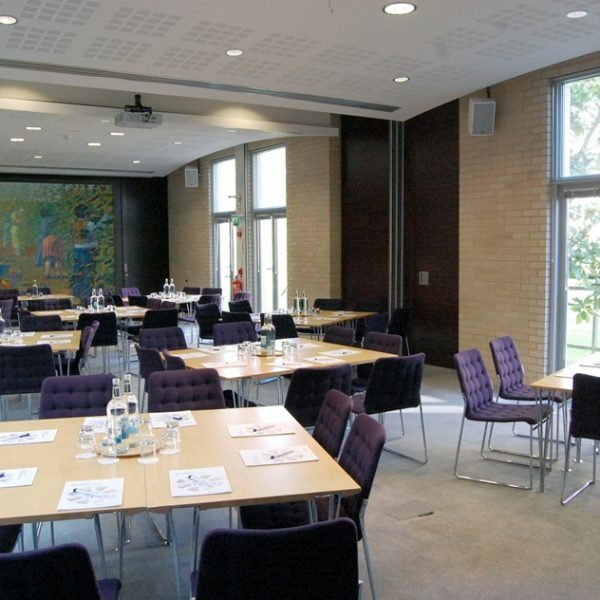 With easy road access from the M11 and A14, finding Murray Edwards College is rarely a problem for delegates. In addition we have free on-site parking available on a first come, first served basis and there is additional street parking nearby. A rarity for Cambridge and often appreciated by delegates staying for multiple days. 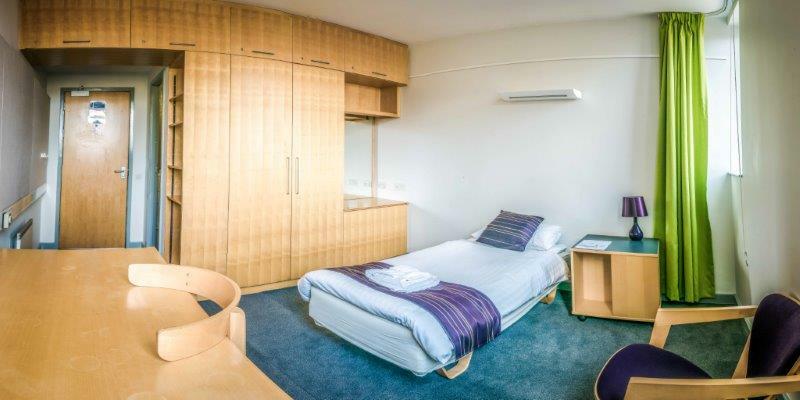 Once here, they can also quickly access the rest of Cambridge, as we are located at the top of historic Castle Hill on the doorstep of the oldest part of Cambridge. 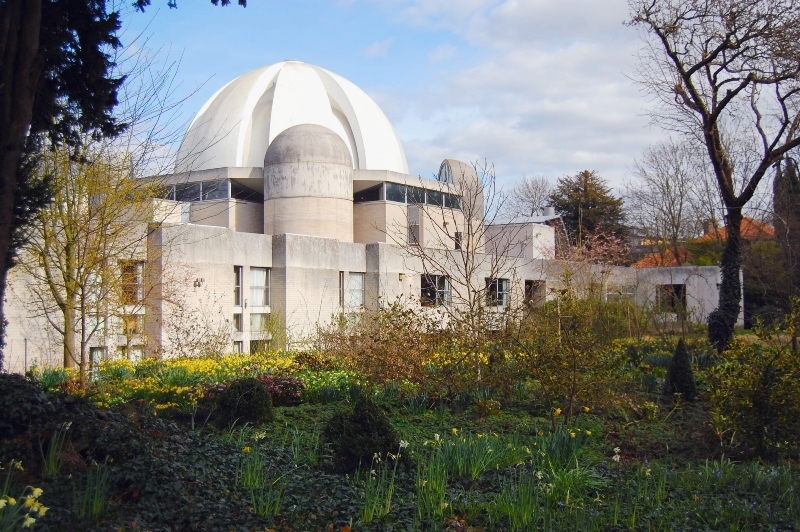 Murray Edwards College is just a 15 minute walk from the River Cam (punting anyone?!) boutique shops, restaurants and just 5 minutes from some good pubs.